The arts includes music, visual arts (paintings, etc. ), literature and dance. In addition, it has all the key elements of being an art form. The traditional categories of arts include literature (poetry, writing, plays, etc. ), visual arts (painting, sculpture, graphics, film, etc), music and architecture. Whereas, the arts, when considering dance are the performing arts like theatre, stage and on screen dance performances. Wikipedia defines “dance” as …a performing art form consisting of purposefully selected sequences of human movement. This movement has aesthetic and symbolic value...” Also, there are other movement or dance arts like pole dancing and aerial silks to name a couple. Is Dance An Art Form? Dance has at least three different arenas which include competitive dancing (dancesport), social dancing and the performance dancing. For example, dance performances often feature ballet, jazz, modern, hip hop, flamenco and other dance genres. Competition dancing may also include elements of performance in showcase and caberet divisions. However, dance competitions and competitors are better classified as a sport. Dance competitions have all the elements necessary to be considered a sport. 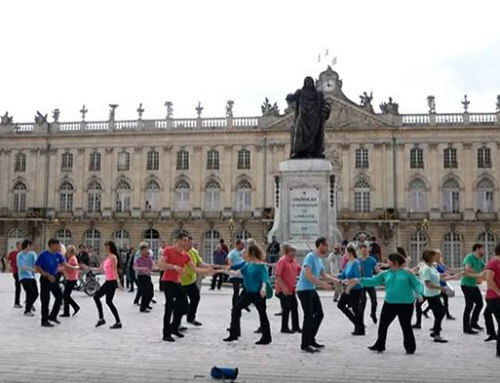 While there are many artistic elements in social dancing it is not considered an art form. The Arts as defined by Encyclopedia Britannica: “… also called the fine arts, modes of expression that use skill or imagination in the creation of aesthetic objects, environments, or experiences that can be shared with others.” Dance is certainly a mode of expression requiring skill and imagination. Additionally, it usually occurs in an environment that IS shared with others. Hence, we can make the argument that dance can be considered an art form along with the other arts. Dance, as a performing art, includes many different categories including solo, partner, trios and group dance teams. All of these categories of dance feature performance aspects. The solo dance genres include flamenco, ballet, hula, belly dance, pole dance and aerial silks. However, these forms can also include duos, trios or in a group performance. One of the most famous dancers in modern day classical ballet is super star, Misty Copeland. 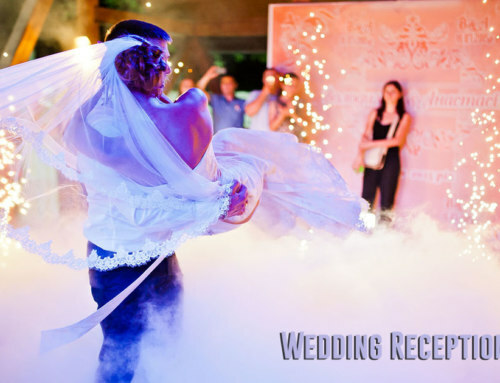 Partner or duo dance categories include ballroom, ballet, tango, Latin dance, swing, country western and many other dance genres. Group dance performance teams include jazz, modern, clogging, ballet, swing teams, hip hop, Latin dance teams, Irish step dance and on stage or screen musicals. Considering the definitions for the arts, dancing contains the required elements. It requires a great deal of skill, knowledge and imagination to choreograph, practice and perfect dance performances for audiences. In conclusion, dance has earned its place among the arts, it is a kind of non-verbal expression of emotion; a movement story, poetry in motion. The word sports is defined as, “a game, competition, or activity needing physical effort and skill that is played or done according to rules, for enjoyment and/or as a job….” by the Cambridge Dictionary. There is an arena of dancing that qualifies according to this definition, competition dancing, also called dancesport. Competitive dancing (dancesport) which requires physical effort and skill. Moreover, dancesport has well defined rules for judging and scoring. 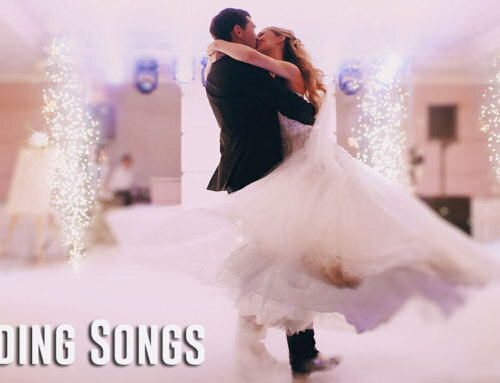 Dance competitions have a long history and have skyrocketed in popularity since the television shows, Dancing with the Stars, So You Think You Can Dance and other dance shows. 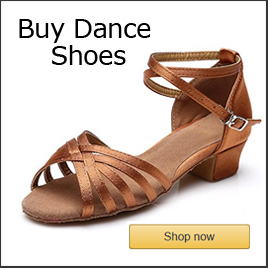 In addition, thousands of dancers flock to competitions around the world in ballroom, West Coast swing, the Latin dances like salsa, bachata, swing era swing Lindy hop, Balboa, Irish dance, country western and many other dance competitions. Particularly, ballroom dance has adopted a competitive branch called dancesport. For example, the annual, prestigious ballroom competition, the Crystal Palace Cup in Blackpool, England is considered a dancesport event. The English style of ballroom dancing developed and standardized in Blackpool. In 1920, the first Blackpool Festival was held at the Empress Ballroom, Winter Gardens. Mr. Richarson become the first Chairman of the Official Board of Ballroom Dancing in 1930. 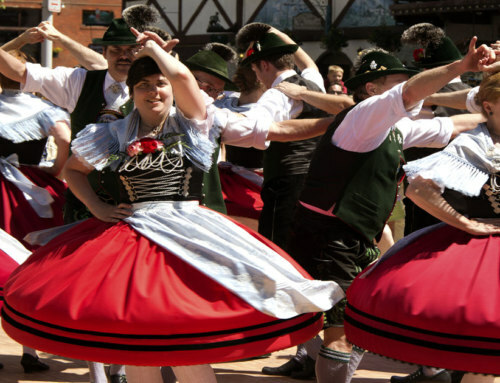 During this period the English style of dancing developed. In the 1950’s, many foreign competitors began attending the festival. The Blackpool Festival included Latin American dancing in 1964. In 1968, the team match was added to the activities. The team match has included dancers from Germany, Japan, USA, Australia, Russia and Scandinavia. 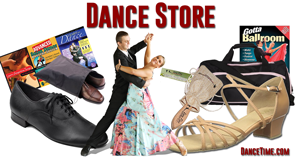 In recent decades, dancesport has expanded to many different dance genres and categories. 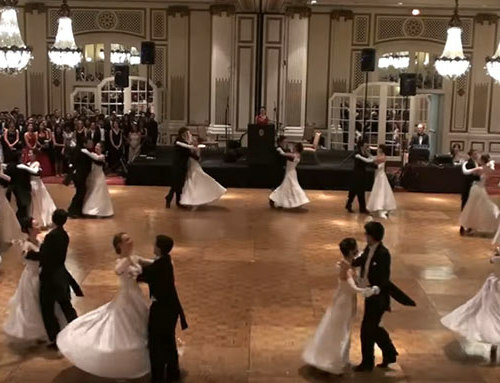 For instance, it now has four categories for ballroom dance including two broad categories in American style ballroom and International style ballroom dancing. For American style there is rhythm and smooth dance categories. 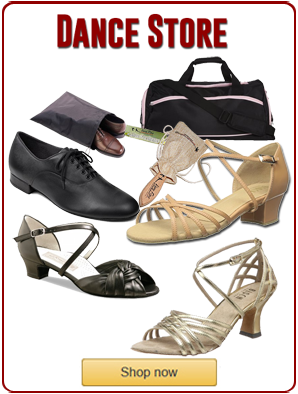 In addition, for International style there are standard (ballroom) and Latin dance categories. Besides these broad categories there are divisions for kid, juniors, seniors (masters), teams, cabaret and even wheel chair competitions. Wheel chair dancesport competitions require at least one of the partners to be in a wheel chair. 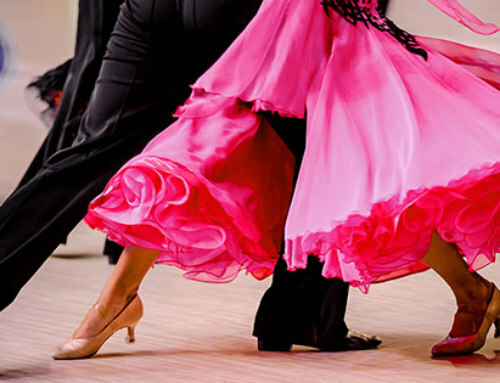 These competitions include the standard dances of waltz, tango, Viennese waltz, foxtrot and quickstep. In addition, they feature the Latin dance genres of samba, cha cha cha, rumba, paso doble and jive. There are also team wheel chair dance competitions with more than two participants. 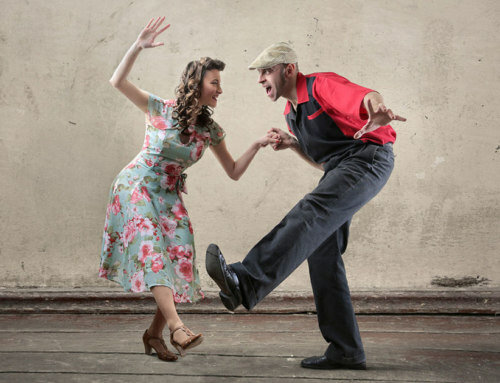 Additionally, there are hundreds of dance conventions worldwide featuring competitive dancing including West Coast swing conventions, salsa & bachata congresses and Lindy hop exchanges for dancers that want to compete. The marriage of dance and sports has created venues for sports enthusiasts to compete in an activity that also requires gracefulness. Dance competition might be the perfect blend of the arts and sports. This may be the reason it has become so popular worldwide. Also, it explains the abundance of television dance competition shows like Dance Moms, Dancing with the Stars and So You Think You Can Dance. What About Dance Arts & Dance Fitness? Also, the border between dance and sports comes closer with pole dancing, aerial silks and gymnastics dance routines. Moreover, the dancers that excel in these categories are clearly athletes. Furthermore, competition dance, dancesport and the dance arts require serious training. For example, dancers train to achieve flexibility, strength, stamina, endurance, aerobic conditioning, agility coupled with gracefulness. Rigorous training is involves in these genres of dance and sports. Competition dancing fulfills all the requirements to classify it as a sport. For instance, it requires physical effort and skill. In addition, all of the dance included in dancesport have been strictly codified with stringent rules for competitors and dance judges. Also, the 106th session of the International Olympic Committee (IOC) granted ballroom dancing, dancesport and the World Dance Sport Federation full recognition on September 4, 1997. Finally, I believe we can answer the question, is dance a sport, with an emphatic YES! Some categories of dance definitely qualify as a sport. Essentially, the competitive arenas of dance and dancesport are clearly within the parameters that define a sport. Huffintonpost.com Is Dance a Sport or an Art? Rhythmology.us Is Dance an Art Form or Sport? The Guardian Is Ballroom Dancing A Sport?